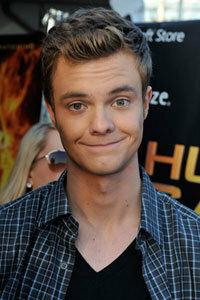 Denis Quaid and Meg Ryan have a kid from their marriage, Jack Quaid, 19. The kid will be making his major motion picture debut in The Hunger Games. He will be playing one of the kids who dies, so it is a small role, but pretty legit for his first. Unfortunately he is not attractive.